The Southern Ontario Obstetrical Network’s Executive Committee is responsible for suggesting research questions, fostering collaboration, promoting membership, and tracking success and progress. The Executive is also responsible for creating sub-groups which take shared responsibility for the successful completion of projects in a timely manner. Members share accountability for hosting and coordinating full Network meetings. The host of each session is responsible for disseminating invitations, setting the meeting agenda, ensuring participants are briefed prior to the meeting, and creating summary notes. Developing a robust, connected research and data collection platform. 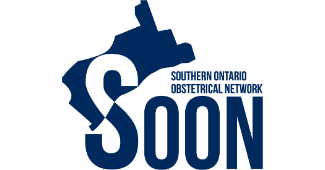 The Southern Ontario Obstetrical Network is a voluntary association of specialists for the purpose of shared learning, developing collective insight, advocacy and developing opportunities for collaborative research. The Network has no formal authority over its members or any of their affiliated institutions. Guidelines developed by the Network are advisory, not binding. Membership is at will, and members may withdraw from the Network at any time, however, membership reimbursements will not be given.